Barry Falk (CRD #870874, Palm Beach Gardens, Florida), who has been a registered representative of Janney Montgomery Scott LLC since December 19, 2002, disclosed on Financial Industry Regulatory Authority (“FINRA”) BrokerCheck that his activities have prompted customers to collectively bring a civil suit in the Sixth Judicial Circuit Court of Florida on December 7, 2017. The customer alleged that Falk failed to discuss an investment strategy with the customers, and placed stock trades in their accounts that were not suitable because of the failure of those investments to align with the customers’ risk tolerances. A total of $76,000.00 in damages has been alleged by the customers. (Civil Litigation Case #17-005079-CI). Falk also disclosed on FINRA BrokerCheck that his conduct was referenced in a complaint dated August 13, 2002. In that dispute, Prudential Securities Incorporated customers alleged the failure to follow their instructions of terminating a matured annuity. The customers alleged $29,886.15 in damages as a result. In addition, Falk has been sanctioned by a securities regulator. On July 25, 2007, Falk and the State of New York Insurance Department entered into a Stipulation and Consent Agreement where Falk consented to the Department’s findings that from January 2000 to June 2002, Falk executed 16 transactions involving replacements of annuities while he was registered with Prudential Securities Incorporated. The Department found that Falk committed a violation of New York Insurance Law Section 2123 and 11 NYCRR 51 (Regulation No. 60). Falk stipulated to the Department’s imposition of a $4,500.00 fine. (Case No. CSB-333989, January 25, 2007). At this point these are merely allegations and Falk has denied all wrongdoing. If you sustained losses from Barry Falk or another financial advisor who made unsuitable trades in your investment account, connect with Soreide Law Group at (888) 760-6552 to discuss your case with our qualified counsel. 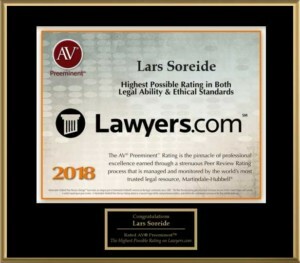 Soreide Law Group is a securities law firm located in South Florida and handles claims from customers in Palm Beach Gardens Florida.